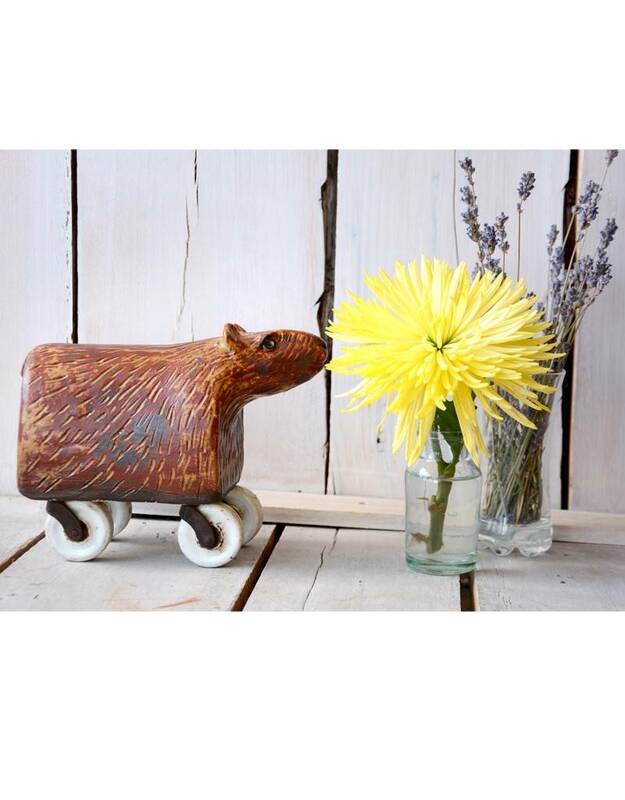 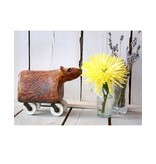 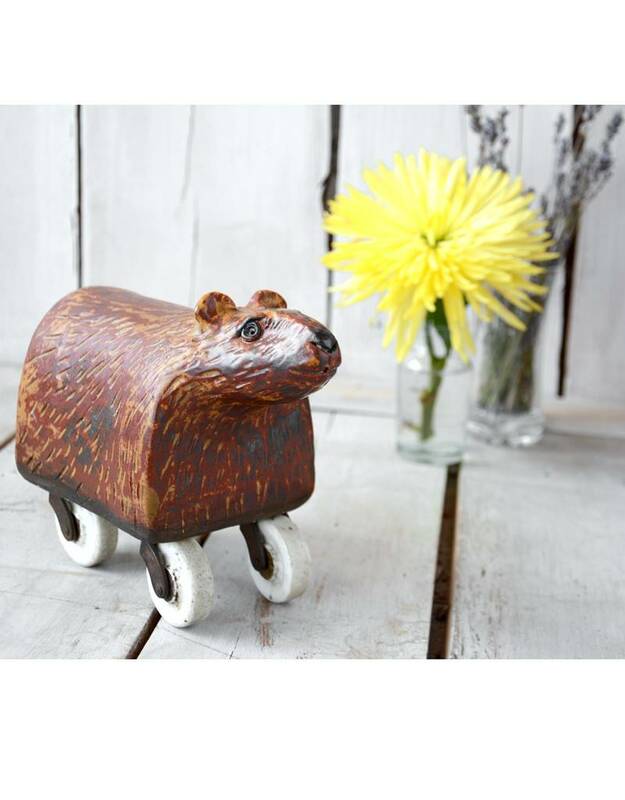 Handmade decorative ceramic bear on wheels. 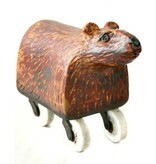 Crafted by local artist Barbara Prodaniuk. 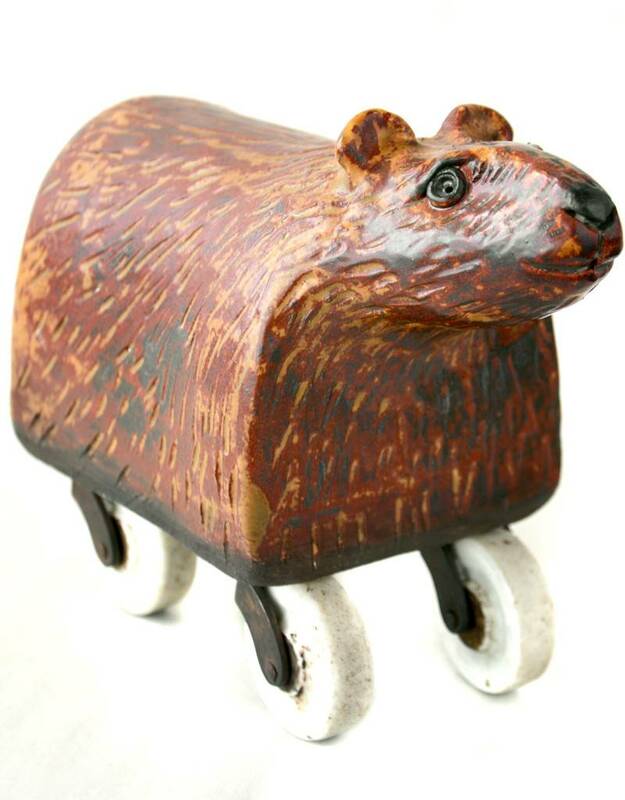 This little statue sits on functional antique wheels, but serves no purpose other than to bring a smile to all who look upon him. 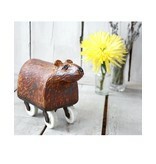 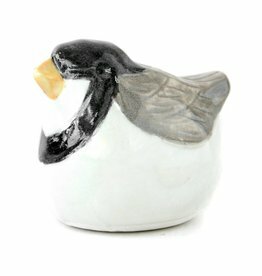 If you were looking to bring a touch of whimsy into your home - look no further! 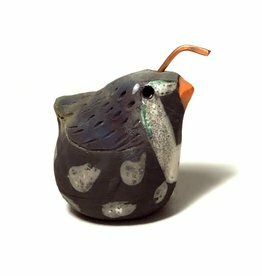 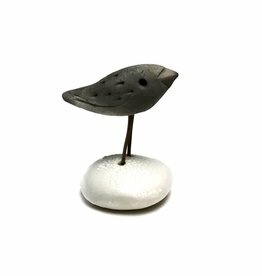 Measures approximately 8.5"x 6.5" x 3.5"